What is better than a color theory experiment? 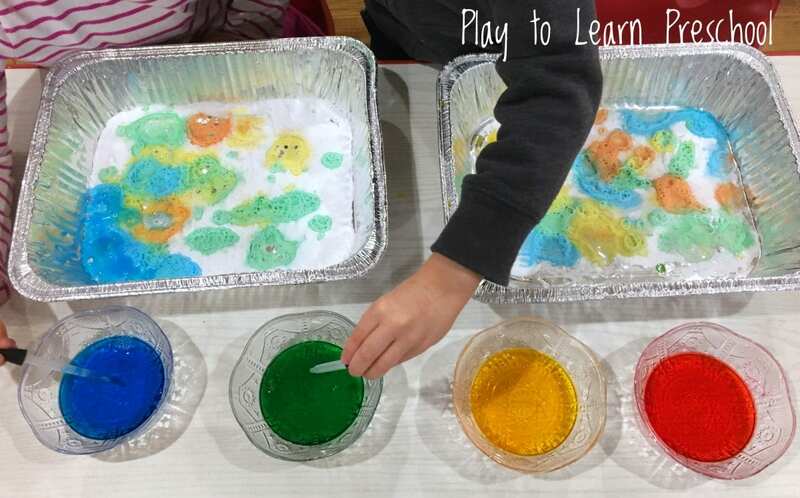 A color theory experiment that includes chemistry and fine motor skills to boot! 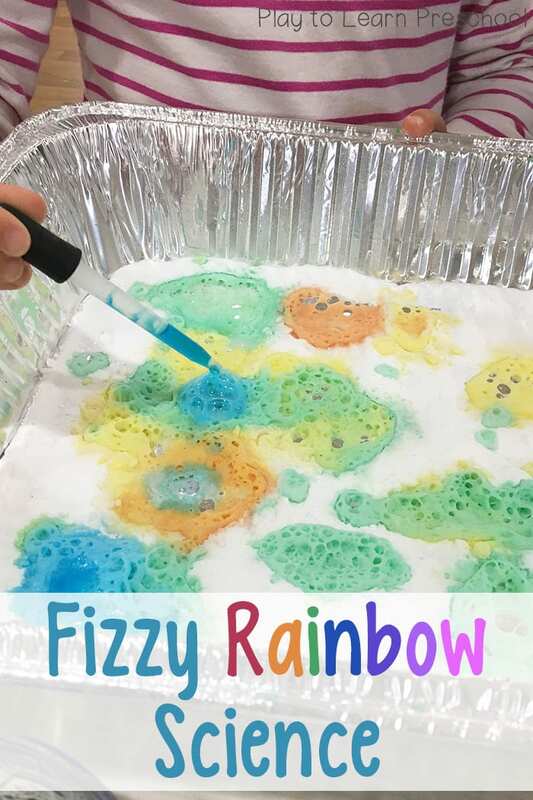 This fizzy rainbow activity is an excellent (and easy!) way to present all 3 things to your preschoolers. Give each student a shallow tray of baking soda. Allow them time to explore it with their senses– touching it and smelling it. 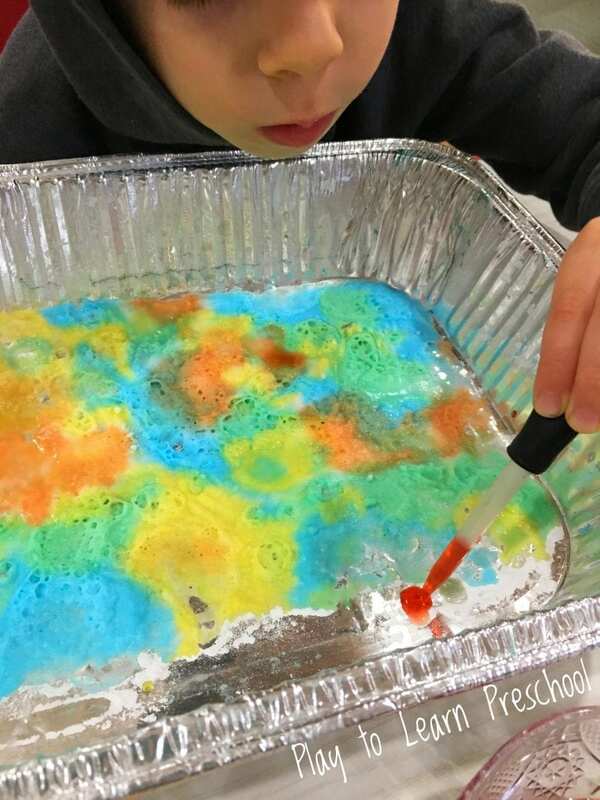 Provide bowls of vinegar and food coloring. The students can use little medicine droppers to drip the vinegar onto the baking soda tray. Listen to the chemical reaction of the vinegar and baking soda. Watch what happens when the colors start to mix. This simple activity will keep your students engaged! Look at those fine motor muscles at work! That pincer grasp is exactly the one that they will use to hold a pencil. They also experienced a little color theory as the colors mixed together and made new colors on the tray. 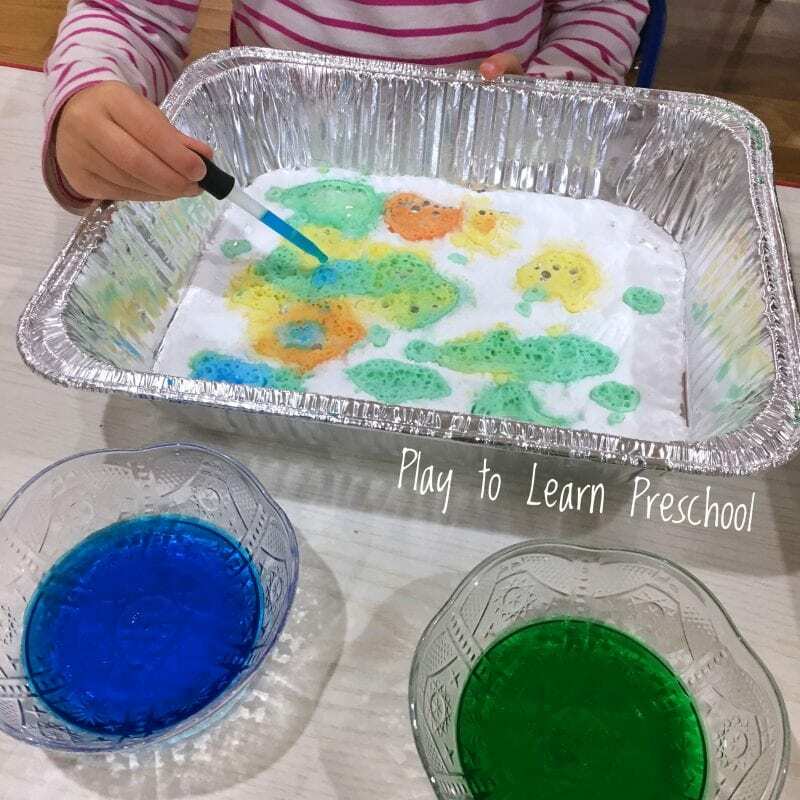 Quick and easy science experiments are perfect for preschoolers. 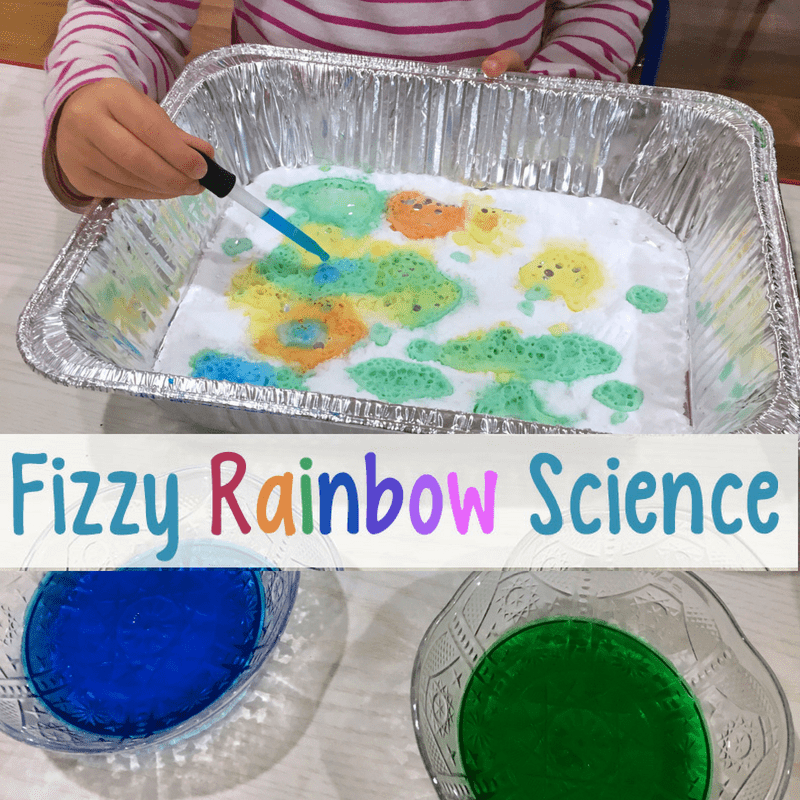 Science experiments that also allow for sensory experiences and fine motor practice are even better! Previous Post: « Using Pocket Charts to Develop C.O.W. Where did you get your trays? I want some just like that! I've had them forever, and I cannot remember where I bought them! We use them all the time, and I hope that you are able to find something similar.